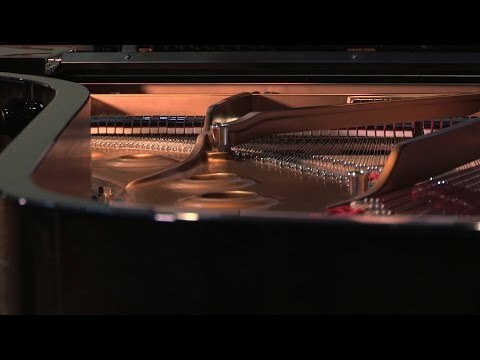 Grant Foster was born in Sydney, Australia and studied piano with Alexander Sverjensky at the Sydney Conservatorium of Music and subsequently with Marcel Ciampi in Paris for seven years. As well as performing, he began composing at an early age, writing his first opera, Dark Love, at the age of 16. After injury curtailed his career as a pianist, he devoted more time to composing and enjoyed his first success with incidental music for a stage adaptation of Peter Pan in London. Directed by Sir Robert Helpmann, the production was widely admired and ran for seven consecutive Christmas seasons. Following Helpmann’s death, in 1986 he composed Elegy in tribute to the dancer-choreographer. 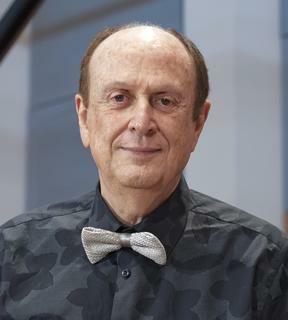 Grant returned to Australia in 1985 and released his Rhapsody for Piano and Orchestra: War; Peace; Love the following year on EMI Classics, which was hailed as “a composition that could, in time, be regarded as one of the most significant contributions by an Australian to classical music”. In the early 1990s he recorded a number of solo piano recitals for the prestigious London store, Harrods, featuring his own music and works by Chopin, Beethoven, Mozart, Schubert, Schumann, Liszt, Rachmaninov, Ravel and Debussy. He was also commissioned to compose The Celebration Overture, which was recorded by the Royal Philharmonic Orchestra. 1985 also saw him opening his own teaching studio and many of his students have since received acclaim in national and international competitions and become established artists. He has given a number of Masterclasses in London, where he also serves as a judge for the Jaques Samuels Competition. In 2007, he established the bi-annual Southern Highlands International Piano Competition in Bowral, New South Wales. Later CD releases have included recitals by the pianist Mira Yevtich and the orchestral works The Pearl of Dubai Suite and Ballad of Reading Gaol – a CD of the Month in Australia’s Limelight magazine and a disc of the year in the influential American title, Fanfare. In 2016, he makes his debut as both composer and pianist on Melba Recordings with When Love Speaks, a collection of his recent music for solo piano. Grant Foster’s compositions encompass works for piano, chamber music, songs, symphonies, concertos and the theatre. He is also the author of eight novels, six of which were written for children.